“Village” is a bonding and learning experience for parent and baby. In a Kindermusik Village class, your educator will teach you how to encourage your baby’s learning through vocal play, object exploration, instruments, and creative movement. • Variety of music. 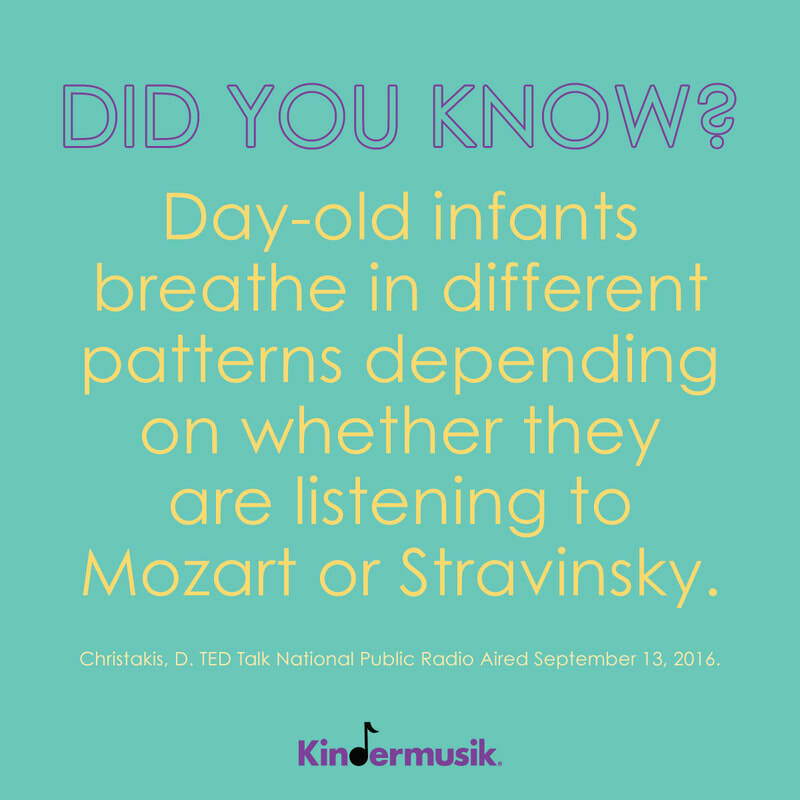 Musical diversity builds strong neural networks in a baby’s forming mind, which is why each Kindermusik semester contains an array of styles, sounds, and genres. • Instrument play. Age-appropriate experiences with child-safe instruments enhances a sense of rhythm and steady beat, develops a keen awareness of the distinguishing qualities of sound, and encourages spontaneity and creativity. • Dance. A classroom full of baby and adult pairs dancing together helps a little body develop the muscle strength needed to crawl and walk and helps a little heart to fall in love with the sheer joy of responding to music. • Together time. A Kindermusik class is truly the essence of “quality time,”offering you a place to create special memories with your child, gain new insights into your child’s development, and nurture your child’s natural love of music. • Learning continues at home. With the home materials, the learning continues at home with your child’s best teacher—you! Schedule a visit on the Preview Request Form.